Integrated Systems Europe is taking place at the RAI Amsterdam on 7-10 February 2017 and is expected to attract more than 65,000 visitors to more than 1,100 exhibitors. 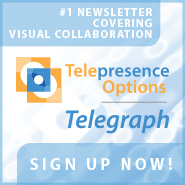 Telepresence Options has the scoop on the latest and greatest in visual collaboration at the show in a handy printable guide with everything from a show floor map to where you can find free coffee and wi-fi (Hint: The Ashton Bentley / Array Telepresence Booth P400 in Hall 14). 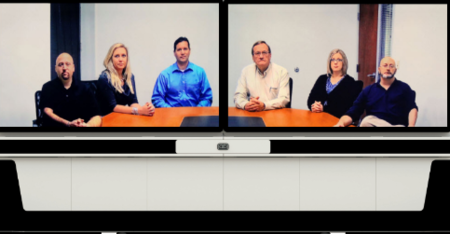 Array Telepresence partner Ashton Bentley, who simplifies and improves videoconferencing and telepresence deployments with integrated displays, installed audio and remote management, will be showing off a complete solution for high-quality, low-cost immersive telepresence with Array at ISE 2017. The solution combines the Ashton Bentley two70 , a fully integrated self-contained audio visual room system with dual 70-inch displays and installed audio that assembles in hours not days without even requiring a screwdriver, with the Ashton Bentley new Array Table for 8 which is optimized for Array's DX Camera and Image Processor. The solution will be on-display at Ashton Bentley's stand at ISE 2017. Stand M-200 in Hall 14. Array Telepresence will be holding a demonstration event for those who can't make ISE the week of February 20th-24th where they can call any videoconferencing system and demonstrate their immersive experience. 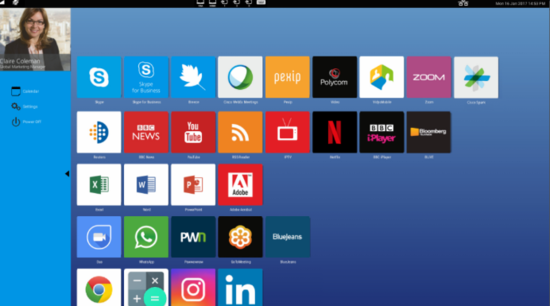 Ashton Bentley's is unveiling wave OS, a soft codec-agnostic App platform, allowing users to use their preferred communication platform from an ever-growing list of Apps - including Skype for Business, Google Hangouts, Pipex, WebEx, Cisco Spark, GoToMeeting, Polycom, StarLeaf and Zoom. In addition, businesses can load business-specific Apps onto the platform such as calendar, Reuters, IPTV or training videos. In addition, they are unveiling a new range of integrated audio-visual room systems with Wave OS and demonstrating cost-effective immersive telepresence with partner Array Telepresence. Finally, they are offering free coffee and wi-fi at their booth throughout the show. You can find the speaker schedule for their auditorium here. 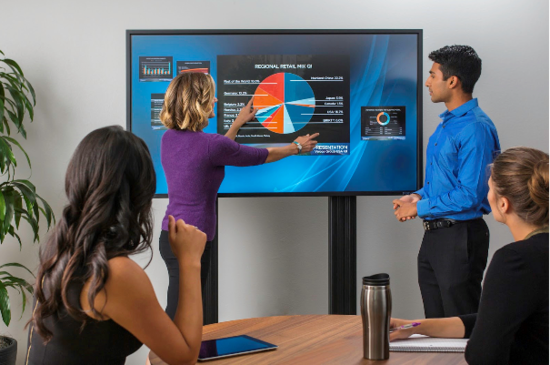 Cisco will be showing off the new Sparkboard and new Spark Innovations at ISE 2017 between February 10th-14th at Stand C120 in Hall 11. 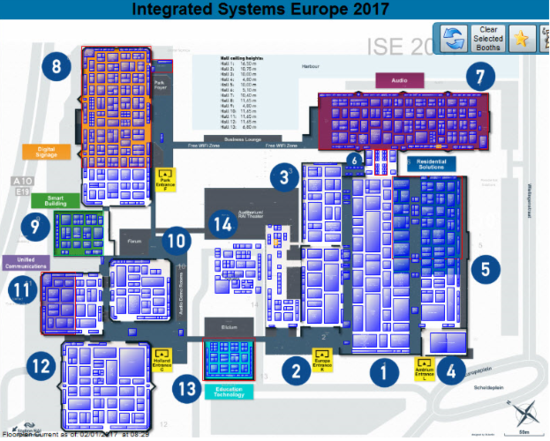 Harman will be exhibiting at Integrated Systems Europe (ISE) 2017 between February 7th-10th. This will be an ISE you do not want to miss. As we wrap up the final details on a slew of new products, we want to encourage you to make sure that HARMAN is high on your list of must-see stands. The place to experience all our new products is in ISE Stand #1F-6. Be sure to visit our ISE Event Site for free registration, show details and all the announcements, photos and videos. We'll see you in Amsterdam! More: Visit our ISE Event Site to plan your trip and follow our coverage. Layer Logic will be showcasing their Atlas software in the Datapath Booth 12-C84 - showing their dynamic multi touch control of the Datapath iolite in a control room setting. Stop by for a demo, or email [email protected] to setup a meeting. Mersive is launching Solstice 3.0 featuring Multi-Room, the next generation of its award-winning collaboration product.This new version of Solstice will enable users to connect and share content collaboratively from multiple meeting rooms across an enterprise network. 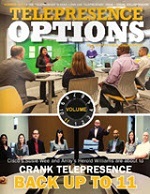 The new Multi-Room capability acts as a force multiplier for collaboration within an organization by adding support for unlimited content sharing across multiple locations and geographies. With Solstice, any number of users can connect to a meeting room display via WiFi/Ethernet networks and share and control unlimited content from their laptops and mobile devices. Meeting participants can mirror their device screens, stream individual application windows, share videos and more, creating an instant collaboration session. 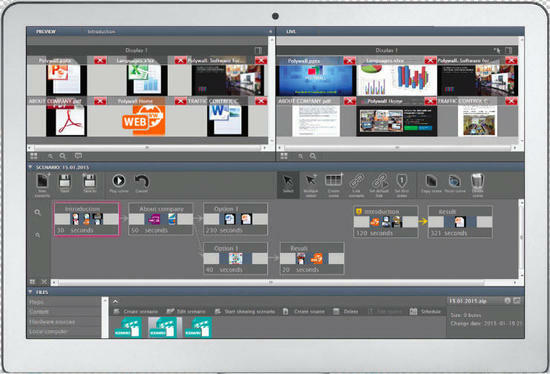 When two or more Solstice displays are synced in a Multi-Room session, shared content appears on all meeting room displays regardless of which location it is shared from. Solstice Multi-Room is additive to web conferencing solutions, addressing the need for broader content sharing and complementing existing meeting room audio/video capabilities. For more information, view the press release or visit www.mersive.com/solstice/multi-room. 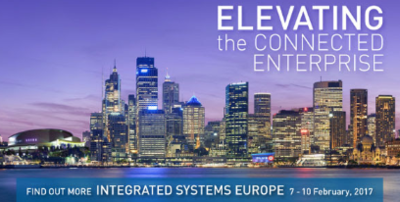 Mersive will demonstrate the new Multi-Room capability for the first time at Integrated Systems Europe (ISE) in Amsterdam February 7-10, 2017. 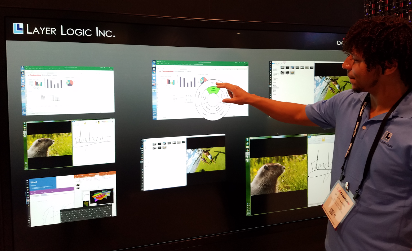 ISE attendees are invited to schedule a demo time or stop by the Mersive booth 14-C134 to see the new version of Solstice. The Polycom exhibition is at stand A117 of the venue's Unified Communications Theatre in Hall 11 and demonstrates the Unified Communications (UC) solutions with easy-to-use and intuitive User Interface (UI). This year Polycom is exhibiting a wide range of latest Unified Communications and Collaboration (UC&C) solutions at ISE. Click here for more details. Read the full press release announcing Polycom's participation at ISE 2017 here. Prysm, Inc. (ISE 2017 stand 11-B130), the creator of cloud-based visual workplaces, will showcase how its technology is enabling enterprise teams to work smarter together. Prysm Visual Workplace is a new way to combine all of your content, applications and communication tools together into an interactive, visual environment for real-time collaboration. Also at the show Prysm's CMO, Paige O'Neill, will be speaking on the ""Six realities disrupting today's workplace", based on research from a 2016 Forrester Consulting study. In these sessions, O'Neill will discuss how work styles have changed, but practices, processes and technologies often fail to fit modern mindsets. The talks will take place on Wednesday, February 8 at 10:30 a.m. CET and Thursday, February 9 at 14:00 CET in the Unified Communications Theatre. You can see the Prysm technology in action here. Logitech's head of Video Collaboration, Scott Wharton, will be at ISE to announce Logitech's newest webcam. The most advanced of its type in the market and packed with industry firsts, the new device will deliver the highest quality video experience available, making it an ideal solution for scenarios where high picture quality could make a critical difference, e.g. telemedicine or collaboration on engineering projects; as well as acting as a powerhouse for business and home-office users. And for folks that like to stream video or broadcast live, there's no better option. 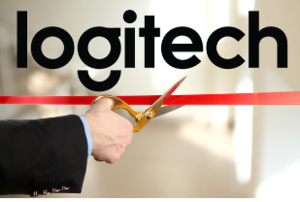 Visit Logitech and see their newest webcam in action at ISE the week of February 7th-10th at Stand 111 in Hall 11. 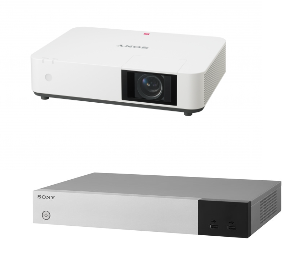 Sony today announced two new cost-effective LaserLite projectors, as well as Vision Exchange, a collaboration solution aimed at corporate and education users. Sony Broadens its Line of Laser Light Source Z-Phosphor Projectors With Two New LaserLite models. 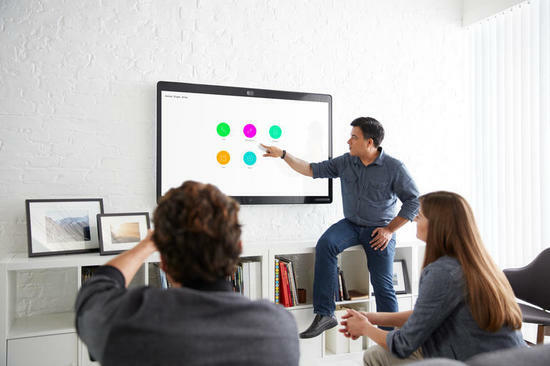 Experience Sony's New Vision Exchange Brings Active Learning and Corporate Meetings Alive. See Vision Exchange at the ISE Event between February 7th-10th at Stand N20 in Hall 1. SAN JOSE, Calif., Jan. 31, 2017 /PRNewswire/ -- Xilinx, Inc. (XLNX) will display Pro AV solutions with Any-to-Any connectivity at Integrated Systems Europe (ISE) 2017. Xilinx and its Alliance Members' high bandwidth video processing and compression demonstrations increase innovation, differentiation, and time-to-market. Visit Xilinx at ISE, February 7th-10th, 2017 at the Amsterdam RAI. Xilinx recently shipped its first Zynq® UltraScale+™ MPSoC video codec equipped devices, adding to its portfolio of 16nm devices. 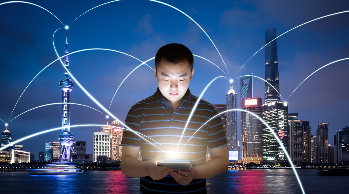 These devices are Xilinx's first All Programmable single chip solution for concurrent 4KP60 video encoding, decoding, and transcoding supporting applications in the broadcast, pro AV, surveillance, aerospace & defense, machine vision and consumer markets. The video codec feature allows the same Zynq UltraScale+ MPSoC device to be used for video and non-video applications and enables customers to retain their embedded software investments. SAN JOSE, January 25, 2017 - Atlona introduces Velocity™, its all-new AV system control platform for Atlona and third-party products in commercial AV environments ranging from individual meeting rooms to an entire campus or enterprise. To be introduced at ISE 2017 (February 7-10, Amsterdam RAI, Stand 5-S92), the Velocity Control System allows very fast, agile AV system configuration and deployment, plus centralized management for multiple clients and site installations. It also features an innovative cloud and premise-based system architecture with unprecedented scalability up to 500 room systems or more, as well as full redundancy capability that prevents AV control downtime in any room. Visiology will present its Data Visualization module for Polywall software at upcoming ISE 2017, held at the RAI in Amsterdam. The demonstration will take place at the Visiology booth 14-M285. At the show, Visiology will launch the latest versions of Polywall and Flipbox Software Suite. The Polywall solution will be demonstrated by its experts and support engineers, providing an opportunity to gain hands-on experience with the latest video wall control technology. Beside the integration with SQX Datapath cards the software includes now a compatibility with Matrox C-Series and IPX cards. Both Datapath and Matrox systems will be presented live at the Visiology booth. Polywall Data Visualization module creates a new interaction pattern between video wall management software and user's data. It can be seamlessly connected to the Enterprise database or Hadoop cluster at raw data level and generates data visualization without the necessity of third-party Business Intelligence tools. Polywall solution is able to cover a wide range of tasks: from display and control of various sources to real-time analytics and Big Data visualization. Due to its high performance and cost-effectiveness Polywall is one of the fastest developing AV products at the international market. Flipbox Software Suite will be de shown on the Legamaster e-Screen, the exclusive EU distributor for the software. This year's version includes several updates since the last ISE show, such as full iOS 10 and IE browser support and floating Flipbox keyboard. Videoconferencing is driving today's businesses towards greater success. Your business can't afford to miss this opportunity. If you are still hesitating, check out Yealink's solutions, which provide more ease and flexibility for business video collaboration. Yealink Meeting Server: a distributed-cloud based VC infrastructure that incorporates multiple modules, including MCU, registrar, directory, traversal server, meeting and device management server and more. VC800 Room System: a brand new meeting room solution that features the industry's most powerful built-in multipoint capacity -- 25-party (two VMRs available). Join us at Booth 11-B100 to begin your hands-on experience. 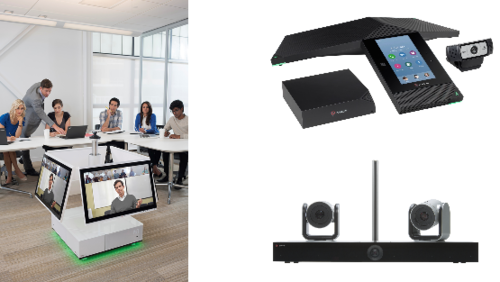 You can also experience Yealink's other videoconferencing endpoints, including more room systems, video phones and apps. Also at the show Prysm's CMO, Paige O'Neill, will be speaking on the \"\"Six realities disrupting today's workplace\", based on research from a 2016 Forrester Consulting study. In these sessions, O'Neill will discuss how work styles have changed, but practices, processes and technologies often fail to fit modern mindsets. The talks will take place on Wednesday, February 8 at 10:30 a.m. CET and Thursday, February 9 at 14:00 CET in the Unified Communications Theatre. You can see the Prysm technology in action here.